Provide comfort for the family of Slater Thorpe with a meaningful gesture of sympathy. Slater Thorpe, Sr. was born November 14th 1929 in Harris Neck, Georgia, to his parents, Curry Thorpe and Lottie May Wilson. He accepted Jesus Christ as his Lord and Savior and was baptized at an early age. He married his childhood sweetheart, Elouise Stevens on January 4th 1949. The fruit of this union resulted in three sons, Slater Stanley Thorpe Jr, Alexis Devon Thorpe (Sonya) and Kevin Wendel Thorpe; and two daughters, Audrey Louise Wesley (Alfred) and Janis Elaine Burden (Carlton). Slater departed this life on March 25th 2019 and was preceded in death by his mother, Lottie May; father, Curry; daughter, Audrey and two sisters, Pearl Proctor and Mary Curry. 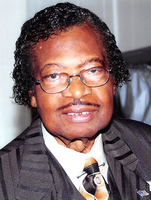 Slater united in Christian fellowship with First African Baptist Church of Harris Neck, Georgia as a youth and served faithfully until he moved to Jacksonville, Florida in 1951 and united with Mt. Ararat Missionary Baptist Church, where he served with the Male Chorus and was elevated to the Trustee and Deacon’s Ministries by Pastor Roosevelt Thaddaeus Williams and served faithfully as the leader of District One. He was a valued employee of the U. S. Gypsum Company and earned the title of Foreman. He retired after more than 40 years of dedicated service. Slater was a devoted husband and father who leaves to mourn his passing and cherish his memory, his beloved wife of 70 years, Elouise; daughter, Janis; sons, Stanley, Alexis and Kevin; grandchildren, Angela Walker, Annette Garrett (Max), Alfred Wesley (Katrina), Slater S. Thorpe III (Njeri), Alexis Thorpe, Alexander Thorpe, Sheal’tiel Paulk and Diamond Paulk; great-grandchildren, Antonie Walker (Nicole), Audrey Walker, Daryl Walker, Jr., Cyrus Garrett, Wesley Garrett, Dayton Garrett, Khalil Wesley, Kendyl Wesley, India Thorpe, Slater Thorpe IV and Sydney Thorpe; great great-grandchildren, Antonie Walker II, Juliana Walker, Daryl Walker III, Damian Walker, Keilah Thorpe, Jusiyah Thorpe, Christian Williams, Ethan Adusah, Amori Garrett and Madison Garrett; a host of other loved ones and sorrowing friends. 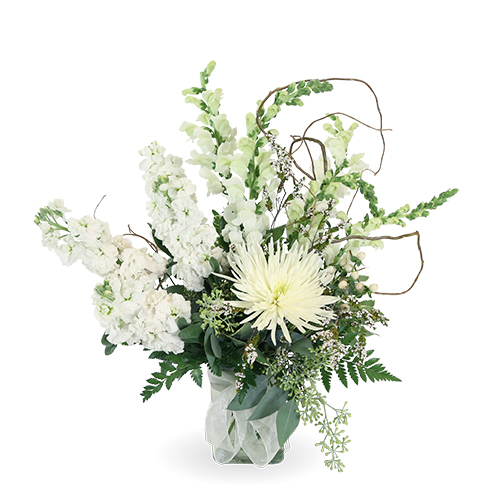 To send flowers in memory of Slater Thorpe Sr., please visit our Heartfelt Sympathies Store. We encourage you to share your most beloved memories of Slater here, so that the family and other loved ones can always see it. You can upload cherished photographs, or share your favorite stories, and can even comment on those shared by others. Ms. Wanda Thomas and Monica Ford and family have sent flowers to the family of Slater Thorpe Sr..
We were saddened to hear of Mr. Slater's death. Allow us, please, to provide good news that answers the question: "What does the Bible promise for the future?" Psalm 37:29 assures us: "The righteous will possess the earth, and they will live forever on it." 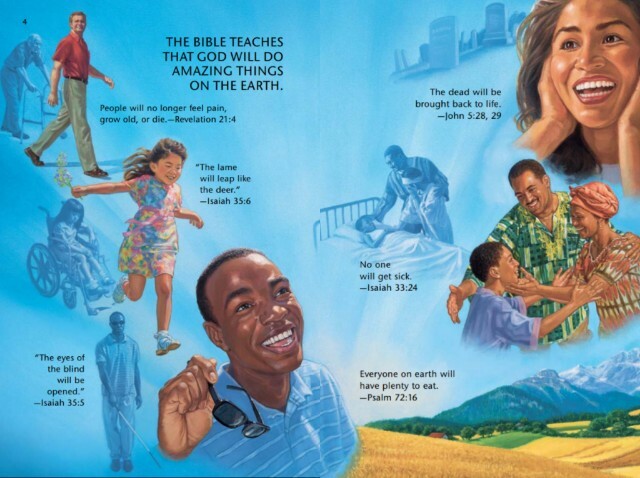 Take a moment to envision the Thorpe family on God's restored paradise earth enjoying the happy, healthy life that he originally purposed for all obedient mankind. May you strengthen each other's faith in God's promise to remove all woes we experience because of the sin we inherited as a result of Adam's disobedient to his loving heavenly Father. Because of Jesus' sacrificial death, Mr. Slater and other obedient children have the prospect of everlasting life just as God purposed for us. My sincerest condolences to The Thorpe Family. God will do away with death soon and that is a promise found In Revelation 21:3,4 it tells of a time when, “death will be no more, neither will pain nor outcry, the former things will have passed away.....” There is also another promise given to us in John 5:28& 29. It tells of a resurrection of those who have fallen asleep in death. Remember these scriptures as a reminder of what’s to come in the future. I pray for your strength and for peace during this difficult time. Look forward to the time when you’re reunited with your loved ones right here on earth. We send our Deepest Condolences to Pastor Thorpe and Family. With ALL our Love from Wanda Thomas & Family. Ms. Wanda Thomas purchased flowers for the family of Slater Thorpe.